It’s not even winter but the colder weather has been drying my skin out already. For me the worst thing about dry skin is, that it does’t only just feel not so great but it also makes my makeup look bad. There’s nothing I hate more than not having a flawless foundation and with dry skin that just isn’t possible because most foundations or powders just tent to cling to any dry patches. Yuck! Despite using moisturiser every morning and every night my skin just didn’t have that hydrating healthy look I really wanted. 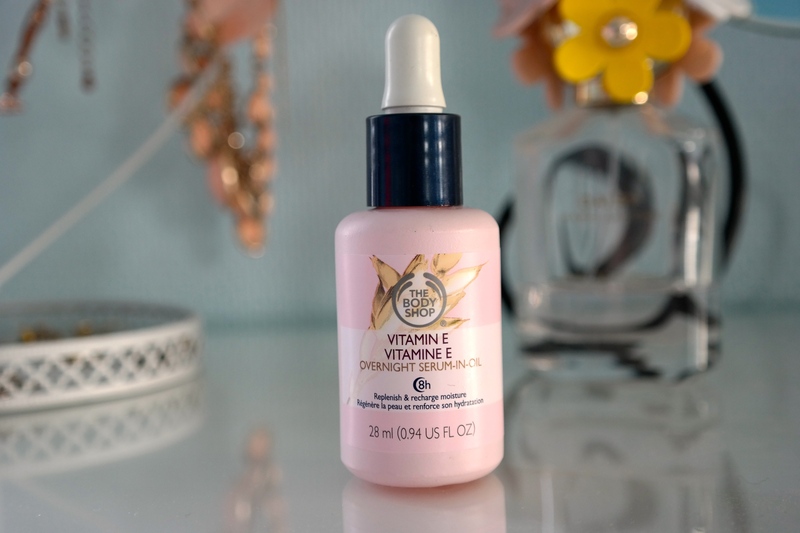 So about a month ago I bough the Body Shop Vitamin E Overnight Serum because they were having a skin care sale and I thought why not give it a go. I’ve really liked most of the boy shop products I’ve tried so far and I got for half the price. That are enough reasons for me to try it. Basically this is a serum in oil, which you apply all over your face as a last step in your night time skin care routine. 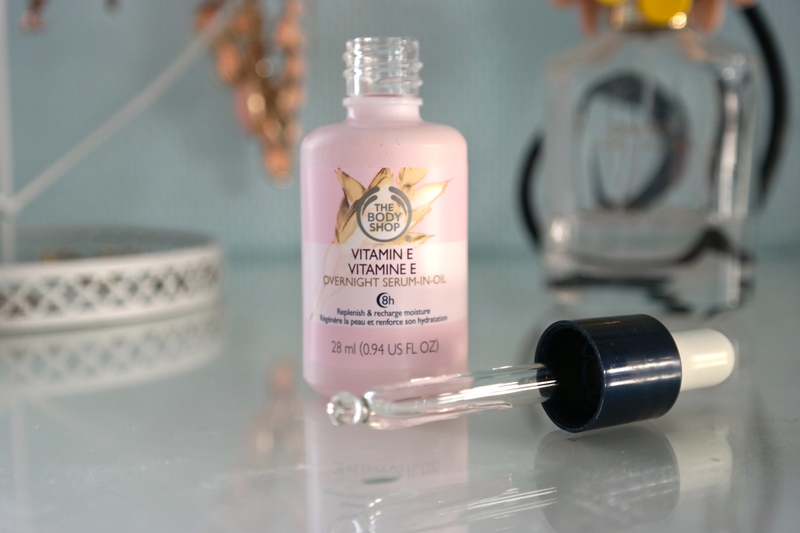 Don’t apply it right before bed though as it is an oil like texture, that is slowly absorbed by your skin and you don’t want any stains on your bed sheets, do you? Accoriding to the body shop this is supposed to recharge your skin with moisture overnight. It’s supposed to be like an 8 hour beauty sleep in a bottle. Sounds pretty magical to me. Now I’ve used this every single night for the past 3 weeks I think and it’s been a total life saver. When I wake up in the morning my skin feels healthy and hydrated. No more dry areas! It’s so soft and so much more radiant. I was hoping that this would work but I didn’t expect to love it this much. Plus I adore the cute packaging. It looks so fancy. I know for a fact that I will definitely always use this in the colder months from now on. I’m so happy with how much it has really improved my dry skin. Have you ever tried this? What is your favorite product against dry skin?